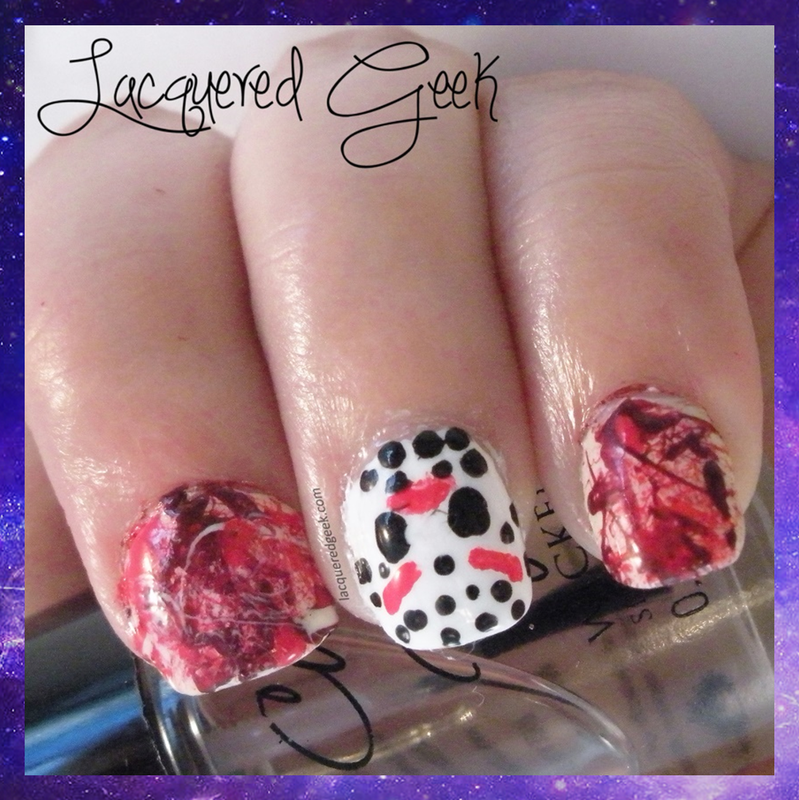 Lacquered Geek: Halloween Nail Art: Friday the 13th! Greetings! Happy Thursday to everyone! I have to admit something about my nails today. I'm the world's biggest chicken, so I avoid horror movies at all costs. I can scare myself just as easily with my overactive imagination. I wasn't always such a scaredy-cat; when I was in high school, I absolutely loved the movie, IT. My sister, my best friend, and I would watch it almost every week to the point we could recite the movie! But I've never seen any of the Friday the 13th movies. Just too scary for me! But perfect for some Halloween nails! 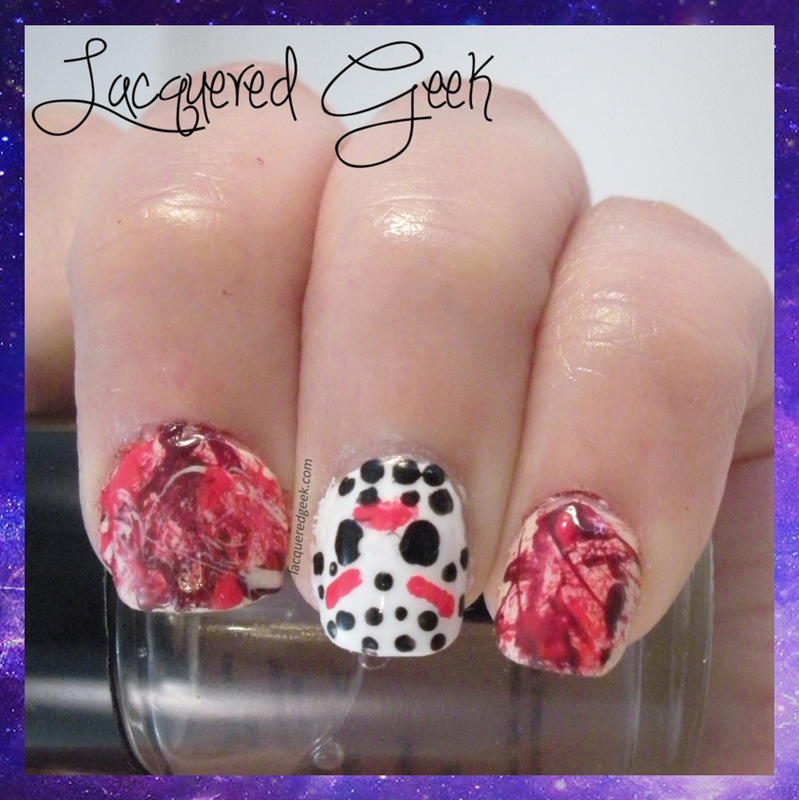 This was my first attempt at a splatter mani. It took me a few tries to figure out that you don't do a steady blowing through the straw, but short bursts. On the blood splatted nails, I started with 2 coats of Zoya Jacqueline, and used OPI Red My Fortune Cookie and OPI Skyfall. 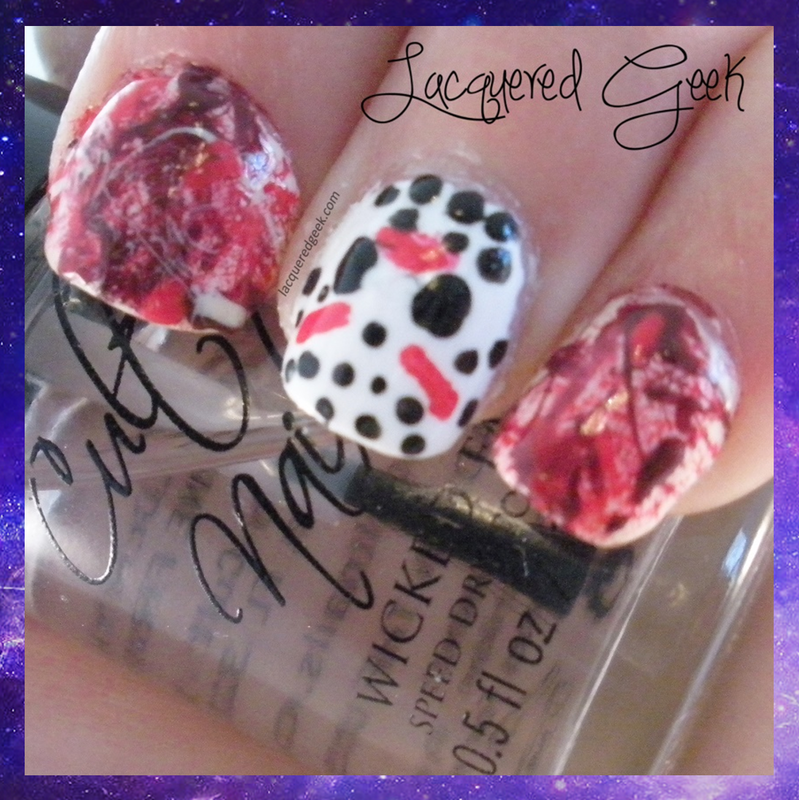 For Jason's hockey mask, I started with 2 coats of OPI Alpine Snow. Using Zoya Raven and a dotting tool, I tried to recreate his mask. It was very fun! The messiness was the best part!